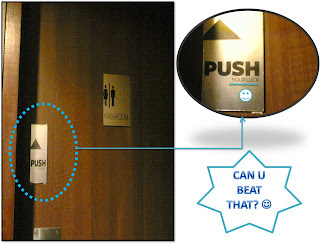 Was out for a coffee and having a nice relaxing weekend and saw this interesting signboard on the washroom door. Hope it makes you smile! @Tiger: well that would've been perfect.!!! :) lolz..